Drinking water is so important to overall health, but lets face it. Drinking lots of water can be boring. So boring. It becomes pretty easy to put down the water in favor of another delicious, bold cup of coffee that tantalizes your taste buds and soon, the water gets abandon all together. 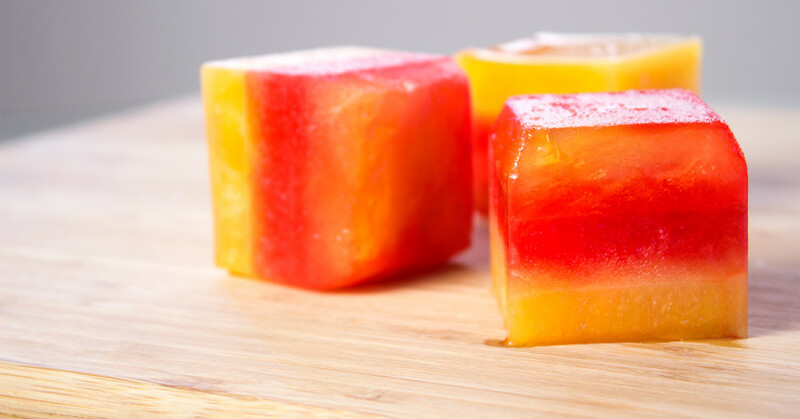 So to help combat this, add these great juice ice cubes to your glass to help make water exciting again!